Yesterday was October 15 which should be proclaimed a Texas holiday. 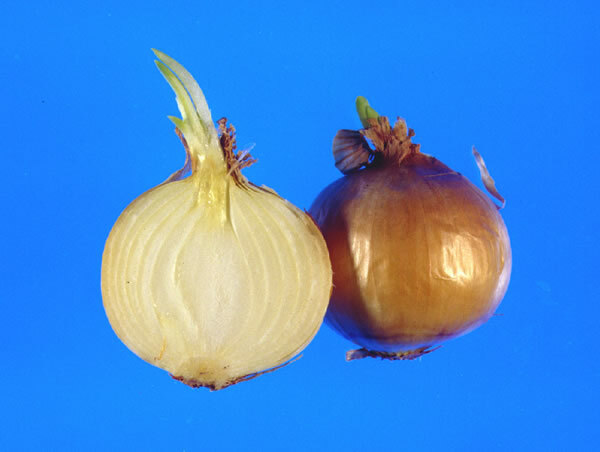 It is the designated birthday of the Texas State Vegetable since 1997 which is the Texas sweet onion-the most famous of which is the 1015Y. Saying that October 15 is the birthday is a bit misleading - October 15 is when seed should be planted so the actual "birth" of the seedling occurs when sprouting begins. Since onions are such a big part of Mexican food, I thought we should name the holiday Octubre quince Y to go along with Cinco die Mayo (May 5), Cieci Seis (Sept. 16) and Dia de los Muertos. 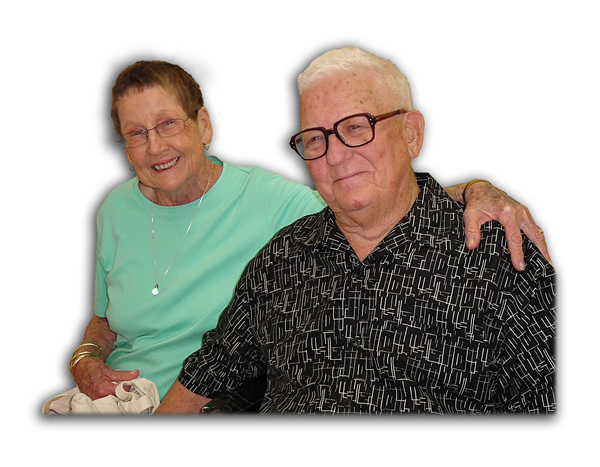 "The pink root (a fungus disease which kills the root system) screening block was developed at the Weslaco, Texas, Station so that Paul Leeper and Leonard Pike could develop pink root resistance in their new varieties. From a planting of the onion variety Texas Early Grano 951, the yellow (Y) selections of Texas Grano 1015Y, Texas Grano 1020Y, Texas Grano 1025Y, Texas Grano 1030Y, and Texas Grano 1105Y were made from the pink root block." The 1015Y became the most popular because of its mild flavor and low pungency. Seeding on these dates hopefully insures the reduction of bolting(flowering and/or seed head formation). 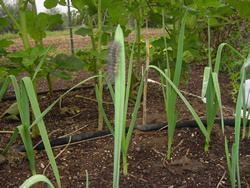 Garlic can definitely grow in warm weather with okra (background). 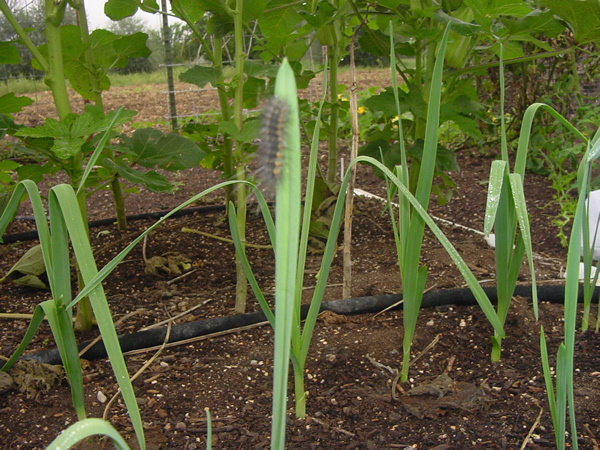 Notice that garlic does not repell insects--especially the caterpillar that is eating it! Garlic is just the opposite - DON'T plant garlic in the spring! Bulb formation in garlic occurs in response to the lengthening days of spring, and bulbing and maturity are considerably hastened if temperatures are high. 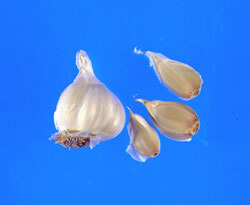 In addition to these requirements, the dormant cloves (divisions of the large bulb) or young growing plants must be exposed to cold temperatures between 32 and 50 degrees F. for 1 or 2 months in order to initiate bulbing. Plants that are never exposed to temperatures below 65 degrees F. may fail to form bulbs. With fall plantings, the cold treatment is accomplished quite naturally throughout the winter, but a spring planting spells disaster. Even though spinach is much more nutritious than lettuce as shown at: /Recipes/spinach/spinach&lettucenutrition.html sometimes spinach grows slow and transplants are hard to find. The next best greens crop is Crawford lettuce. 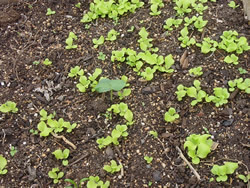 Lettuce (Lactuca sativa) is without doubt the world's most popular salad plant. Both its common and its Latin name are based on an easily noticeable characteristic-it has a heavy, milky juice. The word "lettuce" is probably derived from the Old French laitues (plural of laitue), meaning "milky," referring to this plant. The Latin root word lac ("milk") appears in the Latin name lactuca. Although its culture was widespread in ancient times, it is neither so old nor was it so widely grown in prehistoric times as a number of other garden crops. 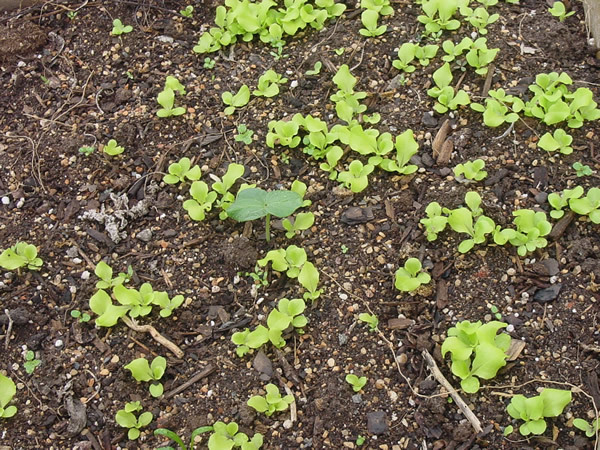 Cultivated lettuce is closely related to the wild lettuce, L. scariola, from which it was doubtless derived. Wild lettuce is now widely scattered over the globe, but it originated in inner Asia Minor, the trans-Caucasus, Iran, and Turkistan.